Let's start with a song, because I recently had the pleasure of seeing Dar Williams live, and she's a great advocate for mythology, if you ask me, and her song CRYSTAL CREEK is totally about Artemis, and I absolutely love the way she brought this particular myth forward with a modern framing. 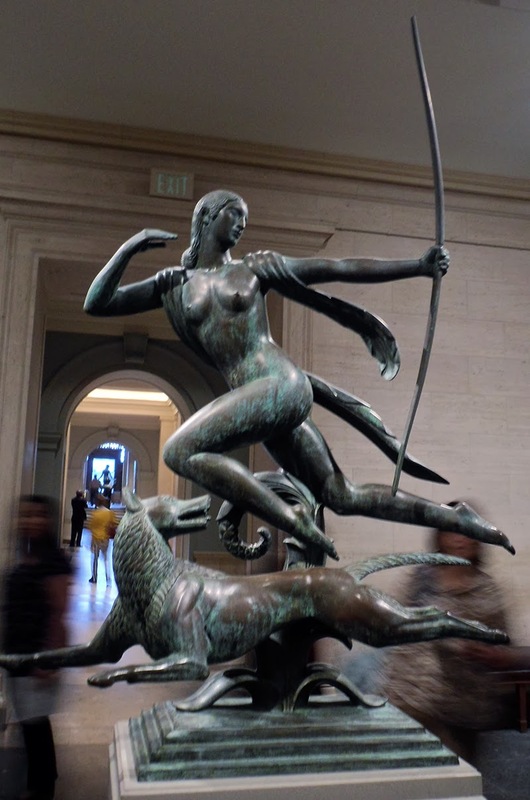 There's just something about the images of Diana with her hounds, or on the hunt, that really grab me. This is from the 1920s, and it's absolutely stunning, if perhaps a bit art-deco-ish to my untrained eye.